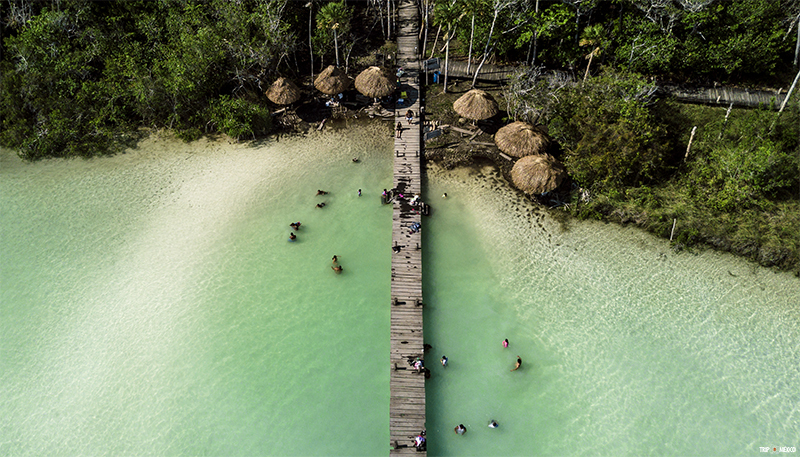 Just a few years ago, Tulum wasn’t even on the radar of even the most in the know travelers. Located south of Cancún - on Mexico’s Yucatan peninsula - Tulum is now on your insta feed multiple times a day. The town has made it's mark as a holistic, yoga filled, free people store come to life, dreamland. After spending a week in this beach meets jungle vegan wonderland - I totally get it. Tulum's busy season is November - April. November and December tend to the absolute best (and busiest) because you'll get nice tepid weather with beautiful breezes. Visiting in the off-season is great for saving money but some things will be closed and it will be very hot and humid. It also tends to rain much more often. Important: Do be aware that the usual crystal clear water is choking with seaweed at the moment. I would be lying if I said it didn't spoil the views a bit. The seaweed is caused by changing sea currents and apparently is present from Mexico all the way down to Costa Rica. The locals are trying to manage it, with the high-end resorts shoveling it away every couple of hours. (Those poor workers) But, nature is winning and the seaweed is very much noticeable. ADO Public Bus... this is the ONLY public bus company that makes its way to Tulum. It isn't direct you will have to make a stop in Playa del Carmen. Full instructions are here. Private Transfer... A private transfer, especially if you have multiple people in your group is your best option. Especially since they will take you directly to your hotel or rental house. Full disclosure: this is how I got to Tulum and highly recommend it. I loved it because it just makes everything easier and is really not too expensive. 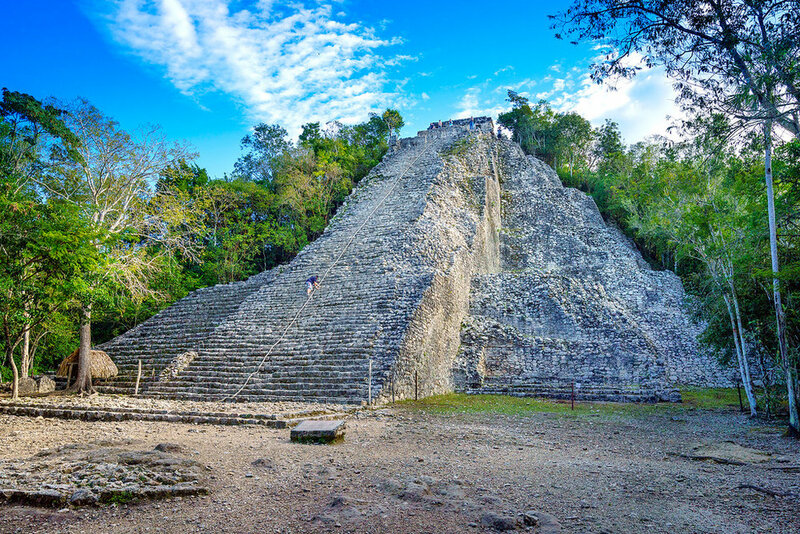 I took a transfer with Yucatan Travel and can't recommend them enough. When I had to change our travel plans last minute because of a delayed flight they were extremely easy to work with and prompt. Driving yourself... you can rent a car and drive yourself to Tulum quite easily. But I don't suggest renting a car because once in Tulum you won't need it. Plus, I've heard the cops will write you huge tickets (or look for a bribe) so travelers going even just one mile over the speed limit. If you do drive anyway, it is a pretty straight drive down the 307 Highway to Tulum. There are so many amazing place to eat in Tulum... I could never list them all here. All my favorite places to eat and drink are listed here. The great news about Tulum is it's one of the top cities in Mexico with a wide range of hotel options. The bad news it this makes it hard to choose. Deciding where to stay in Tulum can be a super hard choice. All the hotels in the beach and downtown zone offer a diverse reasons to stay there, each property seriously has its own personality. I had a chance to visit quite a few hotels and can give you my opinion on each. First off, there are two zones: Downtown and the beach district. Downtown will generally be cheaper and is better for adventure seekers while the beach starts at moderate prices and climbs all the way to "who the hell can afford that"?? I stayed here my first night because I just wanted somewhere cheap, clean, and easy to rest after a LONG travel day. I actually fell in love with the cute property and the millions of cats and wanted to continue my stay there. Unfortunately they were completely booked and I had to move hotels. It doesn't escape me that me, a New Yorker, stayed a place called Central Park. This hotel is pretty new and I ended up here for 4 days. I absolutely loved it and thought it was so affordable. We stayed in a full one bedroom apartment which was spacious and lovely. The hotel also came with bike rentals which was awesome. Every night I biked into town for dinner and fresh air. Full Review of Central Park Tulum here. I stayed here for one night, my last night in Tulum, and had a great time. It is a bit pricey (rooms start around $230 a night) but worth the money for the luxury accommodations, spacious rooms, and of course the beach views. You can find my whole review here. Abi and I visited this hotel our first day and stayed literally the whole day. The bohemian beachfront wonderland is full of whimisical details. They do have a DJ during the day - think techno tunes you would hear in a club on South Beach. Honestly, we wanted quiet so instead we hung out far on the beach where you couldn't here them. During the day, we rotated between relaxing, indulging in multiple photo shoots, and trying as many things on the menu as possible. I'm told that the entry fee to lay on the beach all day is $10 a person but no one ever charged us. We did eat both breakfast and lunch here so it's not like they didn't make money off of us. We were invited here for breakfast and a early morning yoga class. The hotel is home to the beach body bootcamp - which hosts many celebrity faces - and the food and decor match the mindset. Indulge but it food that is good for you, and relax in an atmosphere of love. I will say that the food prices were pretty expensive compared to other hotels I saw. Planning a trip to Mexico, and Tulum in general is overwhelming. Everyone has an opinion on this beautiful location. Rest assured that no matter what you choose to do or where you choose to stay you'll have a beautiful time.